No this has nothing to do with the recent Cowengate, although definitely I should take a photo of a cow and gate which shouldn’t be a problem round here. 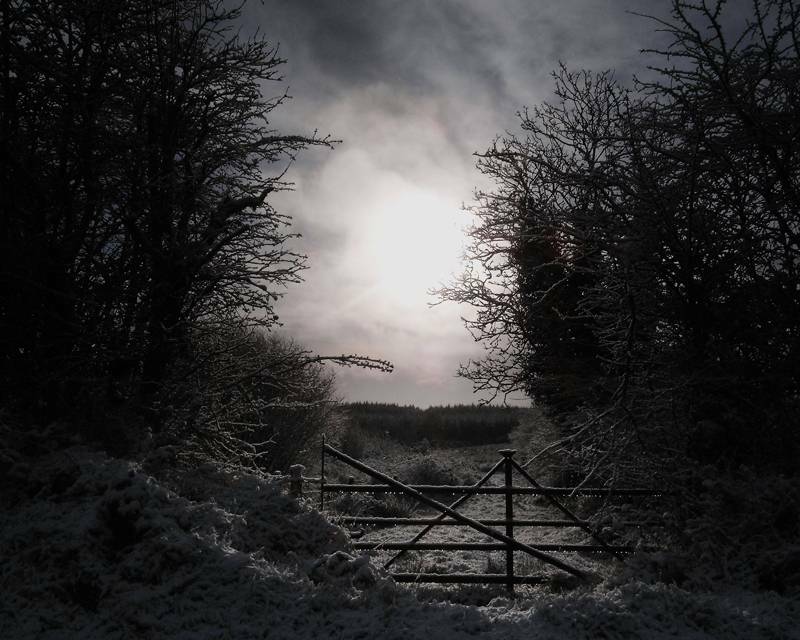 This is a photo of ice melting on a gate in silhouette and was actually taken just over a year ago on the 3rd of March 2008. I’m not sure exactly what I think of the quality of this photo. I like it, but there’s something about it which makes me feel as though I could have taken a better shot or brought it out better in post production.